(NewsUSA) – Sponsored News – Every bride-to-be wants to look and feel her best on her wedding day. For nearly one-third of adults in the United States, looking and feeling their best means losing weight — an average of 39 pounds, according to a recent survey. In addition, 1 in 5 adults surveyed say they would resort to "extreme measures" to achieve their desired weight loss. Fashion and bridal designer Pnina Tornai, who has teamed up with Nutrisystem to help brides embrace a healthy diet plan, is a 26-year veteran of the wedding industry and a 16-year veteran of a happy marriage. Tornai, also of the TV show Say Yes to the Dress, has encountered brides who order dresses two to three sizes smaller than their original fitting size. "I see so many brides with tears in their eyes struggling with the way they look and wanting to fit perfectly into their dream dress," Tornai says. "I have had brides faint from weakness during fittings. "As you prepare for your wedding day, first say "I do" to these simple tips to be on your way to happy and healthy ever after. * Eat five to six small meals a day. Eating smaller, balanced meals throughout the day promotes greater weight loss and maintenance. Plans like Nutrisystem take the guesswork out of eating by delivering portion-controlled meals to your door. * Fill your plate with vegetables: Adding vegetables to your plate is a filling, calorie-saving way to eat. Plus, many vegetables are full of fiber, which makes you feel full faster, and controls the speed of your digestion so that you stay feeling full longer. * Don’t skip a meal. Skipping meals hurts your progress. When you starve or severely restrict calories, your metabolism slows down, causing your weight loss to slow as well. * Drink your water: Staying well hydrated will help you feel full, aid digestion and circulation, and help your body eliminate waste and toxins aiding in weight loss. * Manage stress. Mental health is as important as physical health, so don’t neglect it. Wedding stress is normal, but find ways to decompress, including having a glass of wine with friends, trying a yoga class, or taking a spa day. Finally, remember that long-term weight loss is a marathon, not a sprint. 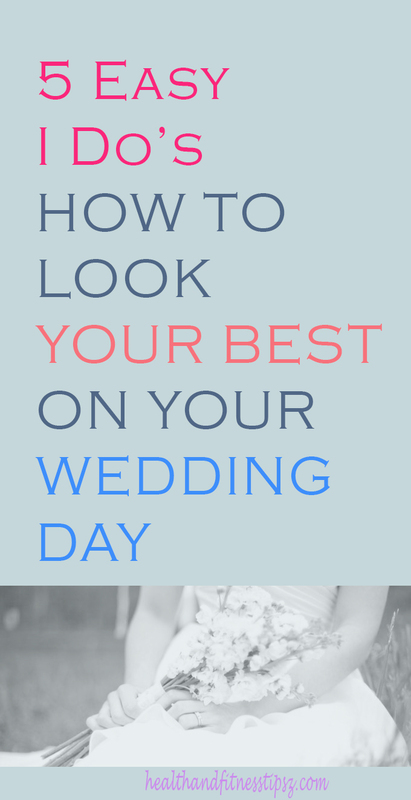 In order to look and feel your best on your wedding day, don’t crash diet, as the results never last. Rather, take steps to change your lifestyle overall.